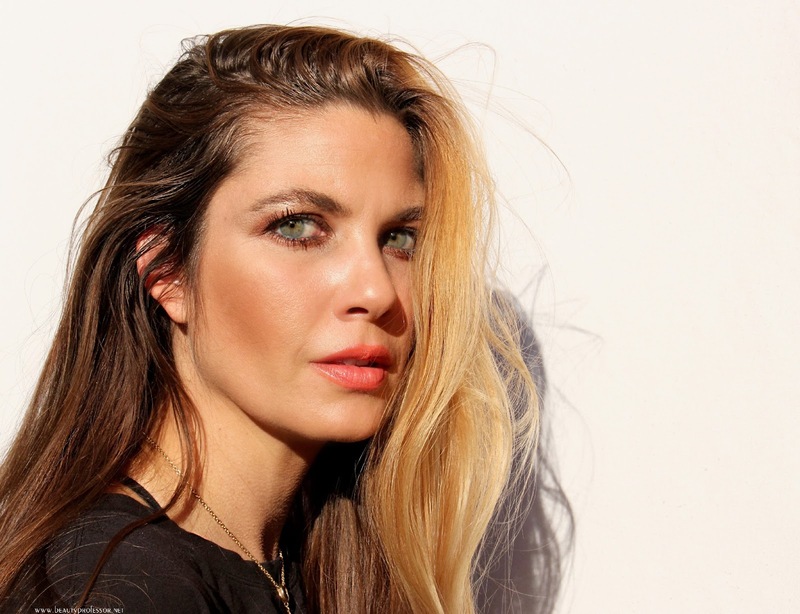 Every once in awhile, my job as a beauty writer fortuitously enables me to gain an insider's perspective on the talent behind some of my favorite brands. It is in these exceptional moments that I am infinitely grateful for the initiative I embraced when I wrote my first post for Beauty Professor well over five years ago. In this story, I am excited to share my interview with Sisley-Paris' Anne Chamoyan as well as a swatch-heavy overview of fresh Sisley-Paris releases. 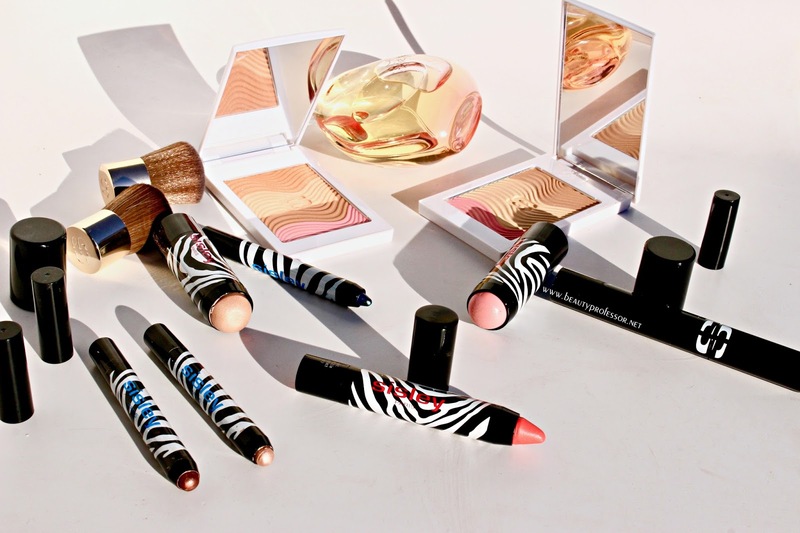 As aforementioned, recently, I had the rare and marvelous opportunity to interview Anne Chamoyan, the brilliant woman at the helm of development for the Sisley-Paris makeup line. Warm and vibrant, her bright mind and passion for beauty radiated in the answers she provided to each question I posed. (1) How long have you worked for Sisley-Paris? What are your chief duties? Anne has worked for Sisley-Paris for over 25 years. After an illustrious history career with the brand—working with every aspect of the line including directly with consumers—she has been is in charge of the development of the color range within the line for the past nine years. 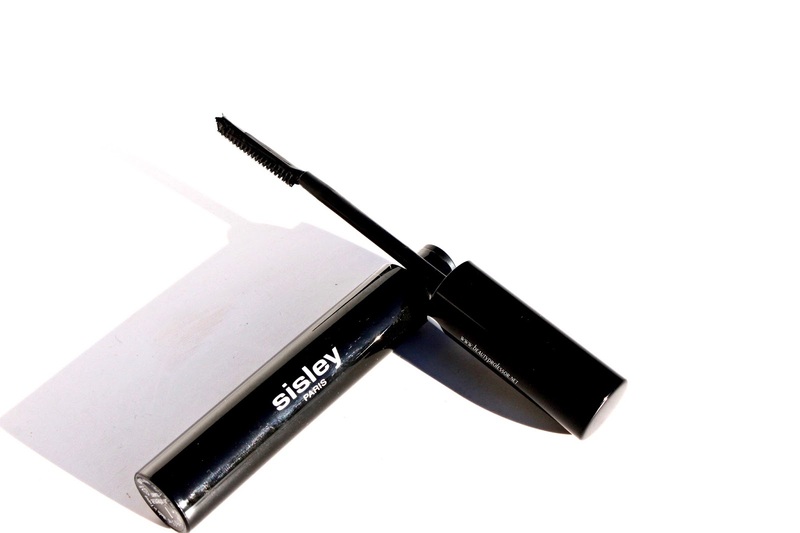 The makeup is an excellent foray into the brand for the new Sisley-Paris customer and the high-end product line strives to balance the fine line between timeless classics and fresh approaches to beauty. Still a family owned business headed by the d’Ornanos, Sisley-Paris operates with a close knit team that is dedicated to keeping its loyal customers effortlessly beautiful. 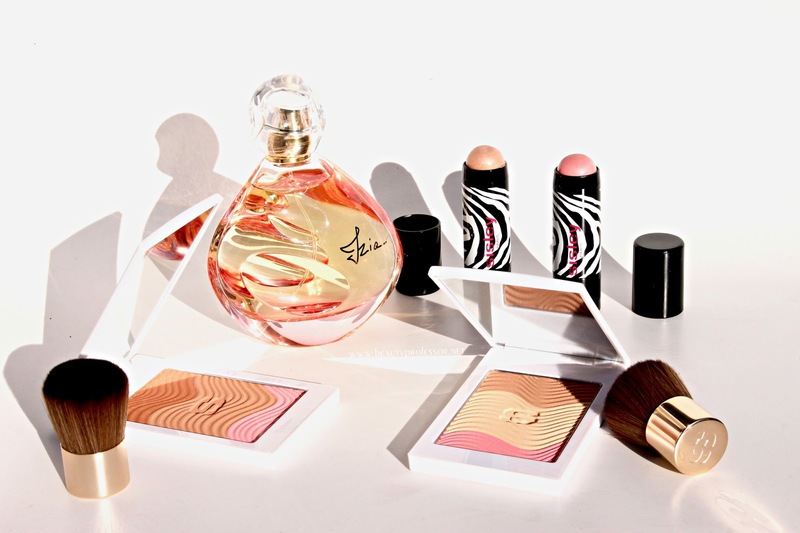 Unlike most brands in the industry, Sisley-Paris doesn’t create seasonal collections, rather, the brand releases formulas based on the thorough development and ultimate readiness of the products rather than the push for limited editions and the demands of the season. Consequently, all products launched become a part of the permanent collection, making this a truly singular perspective in a sea of mass releases. (2) What was the inspiration for Sisley-Paris's Spring 2017 releases? Playful, portable, effortless and effective, the latest launches, amongst many objectives, fulfill a consistent customer request for cream blush with the Phyto-Blush Twist; the cream to powder formula is wholly unique and flatters a range of skin types and skin tones. 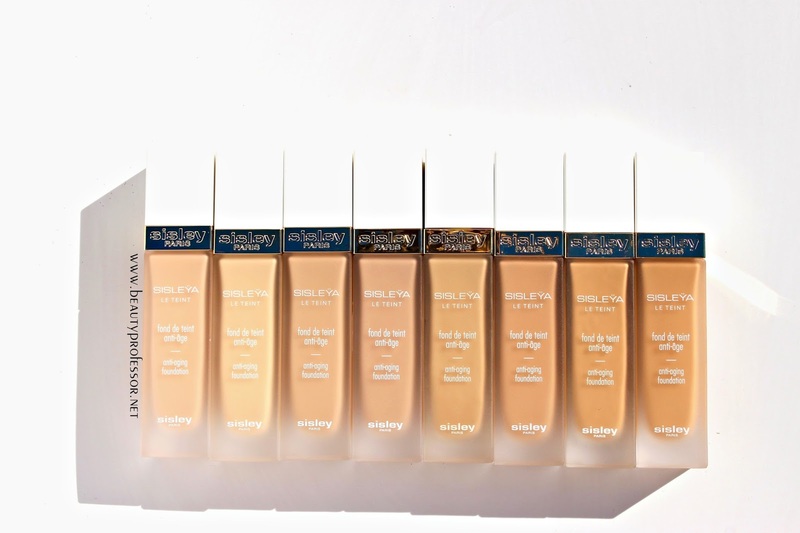 The ingredients integrated into the color range have been carefully selected for their benefits, improving the condition of skin each time the makeup is applied. 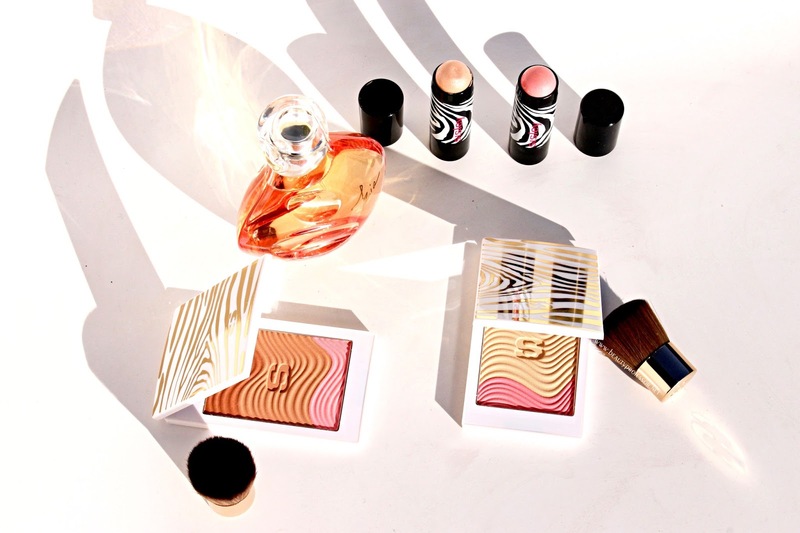 Overall, these launches--which also include the gorgeous Sisley-Paris Phyto-Touche Sun Glow Powder Trios and resplendent IZIA fragrance--reflect the tenets of easy beauty with quick and professional results. 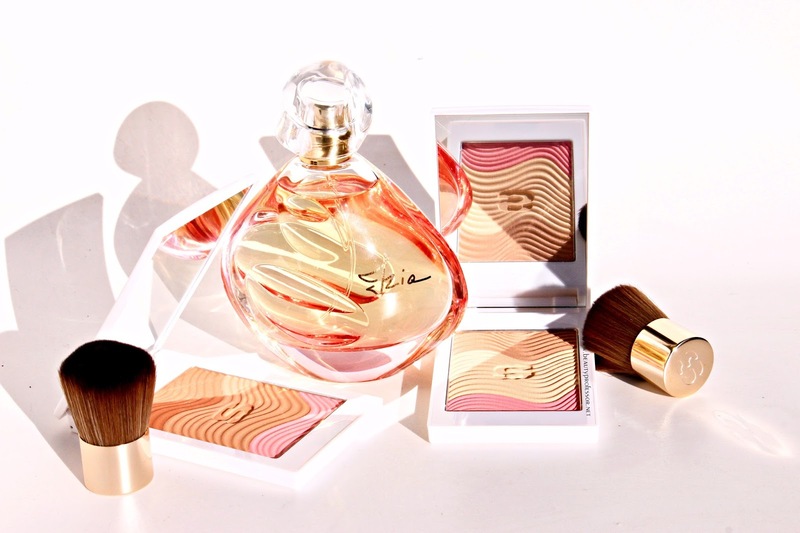 (3) What is your favorite Sisley-Paris beauty product and why? Skincare? Anne loves the ease of the “Twist” line. 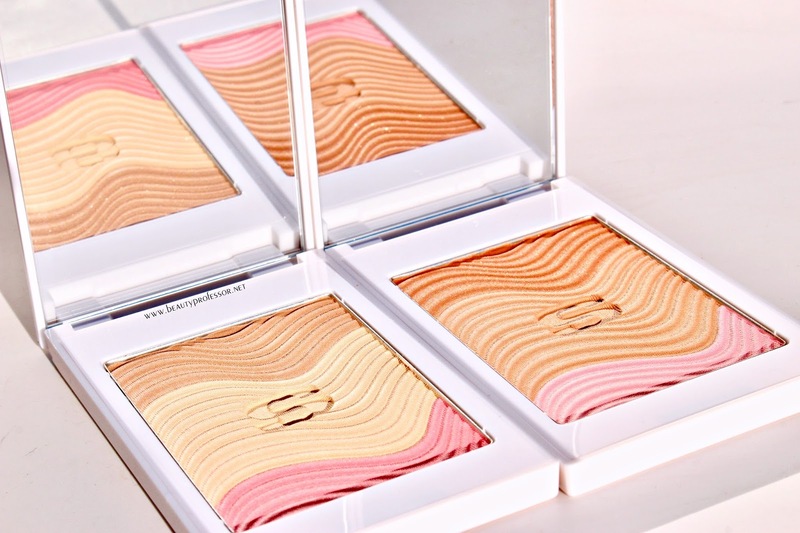 Comprised of retractable eyeshadows (that can double as liners), lip color (in both shiny and matte formulas) and, now, blushes, these genius products create a beautiful look in seconds. 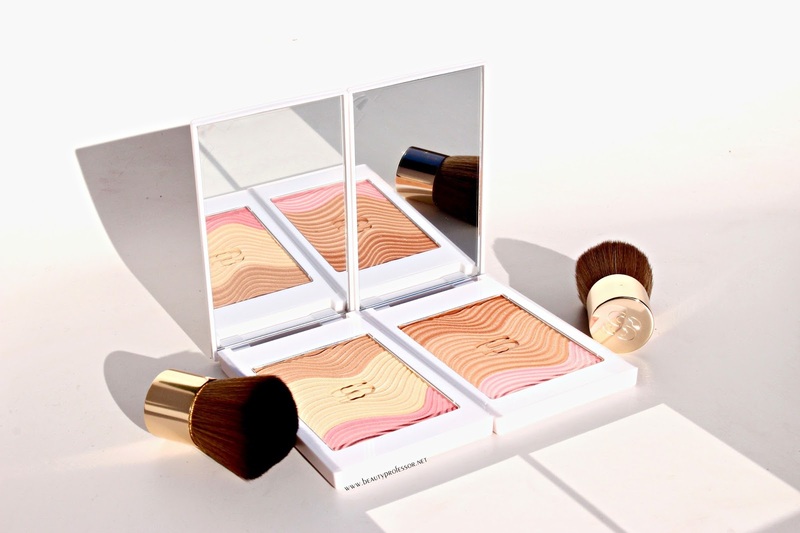 Additionally, the Phyto-Touche Illusion d’Ete Compact Sun Glow Bronzing Gel-Powder holds a special place in her heart; the bronze tone flatters a spectrum of skin tones and adds warmth and dimension while looking completely natural. Finally, the Phyto-Cernes Éclat Eye Concealer ranks amongst her essentials; it instantly brightens and blurs fine lines while the active ingredients (including Arnica and Caffeine) work below the surface to reduce darkness and puffiness in the orbital region. Creamy and shimmer-free, it can also be used to subtly illuminate the high points of the face. For skincare, Anne adores the Black Rose CREAM Mask, which has a true cult following. The formula offers hydration, radiance, softness with each application and is an excellent travel companion when flying, preventing skin from the dreaded dehydration that accompanies cabin pressure. (4) What are some trends in beauty that you are loving? 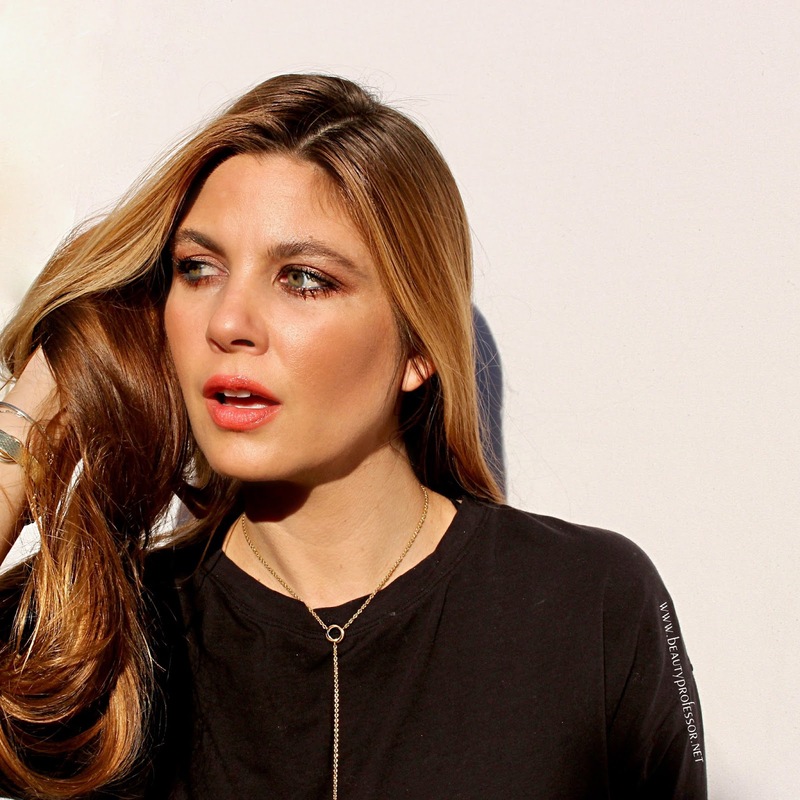 Any beauty trends you wish would pass or disappear? With a packed travel schedule, Anne has noticed that globally, the beauty trends for women across the world include full, well-groomed eyebrows; they immediately transform the face. She believes that everybody is free to do what they want when it comes to beauty but very dark lipstick should be worn with caution. 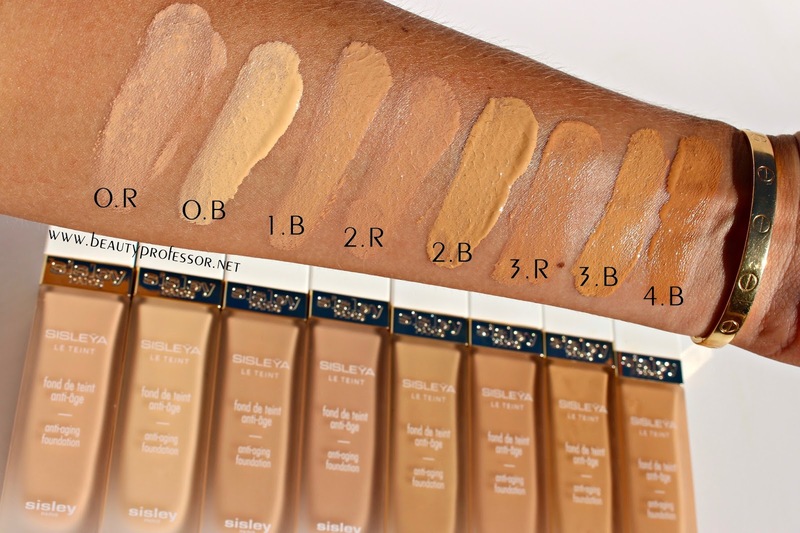 Deep shades can be gorgeous from an editorial perspective but for everyday beauty, strive for a rich shade that brightens the face and flatters one’s features. (5) Which products do you think every woman should implement in their routine? Anne firmly believes that this depends on the age of the woman. Although every woman can benefit from lipstick and a subtle glow, she also intimated that as we age, it’s wise to consider embracing mascara to define and lift the eye and concealer to refine and perfect the features. Refreshingly, Anne reflects a “less is more” mentality that is evident in her own radiant visage. (6) Favorite place to travel? Anne extensively travels for business but tries to get away every two months to unwind and reset; for pleasure, she loves to visit Morocco, specifically Marrakesh. The country has opulent gardens, gorgeous buildings and a diverse landscape of color that relaxes and inspires; it’s only a short three hour flight from Paris! She also loves the tranquil beauty of Ibiza and has been visiting for the past 25 years; it has a lovely balance of vibrant nightlight and quaint relaxation. (7) Last book you read? Anne prefers to read books that focus on themes of family, love and relationships; she just finished reading “The Last of Ours” (title translated from French) by Le Dernier de Notres by Lu Par Rémi Bichet. After Anne’s brief synopsis of this multi-generational tome, I am inspired to track it down. (8) What is your personal beauty philosophy? 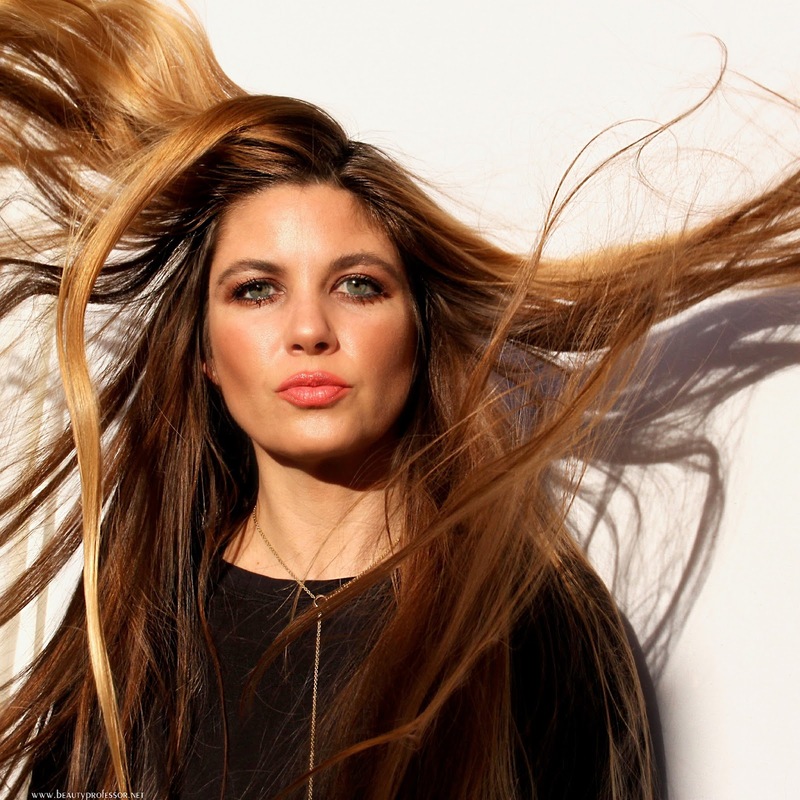 Anne believes that makeup should be effortless, unique and natural; it should complement one’s features rather than be conspicuous, ultimately creating the best version of one’s self. In this age of influencers and social media, she stressed that while it’s wonderful to be inspired by others’ approaches to beauty, avoid the pressure to copy influencers as every color and product will not look equally becoming on everyone. In the true spirit of Sisley-Paris, take joy in finding your own beauty! 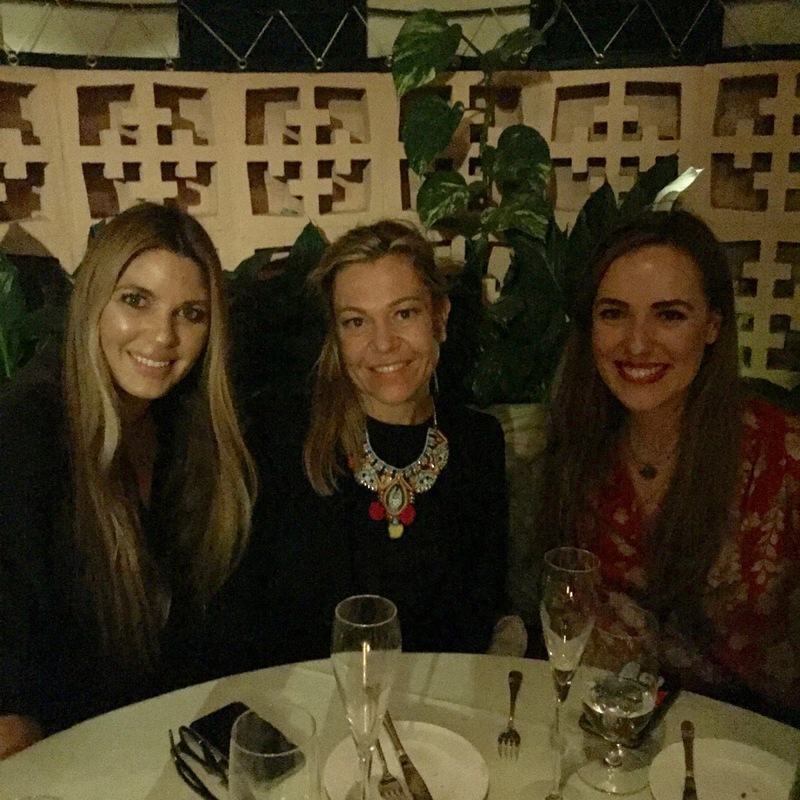 With Anne Chamoyan and Sisley-Paris Digital Marketing Manager Lucia Oriol at the Beverly Hills Hotel, directly following our interview. 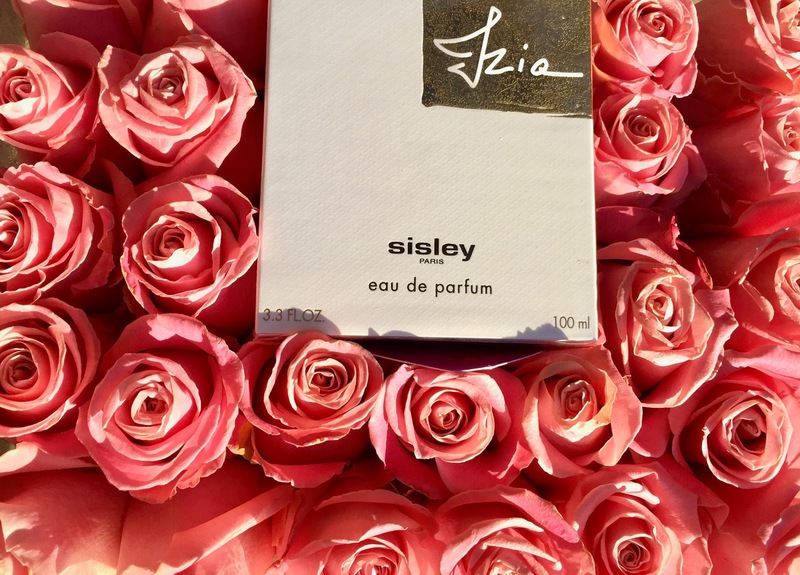 Gracing the ethereal portals of the fragrance realm, *Sisley-Paris Izia (also available at Bloomingdales) features an intoxicating blend of rose, aldehydes and musk for a completely singular take on a sophisticated floral juice. All at once mysterious yet approachable, this scent uplifts the senses, resonating with the lilting sunlight of the impending spring. Izia is a fragrance built around a Rose with a unique scent. This rose, like a rendez-vous, only blooms for a short time once a year. The heart of a modern and multi-faceted new fragrance. Imbued with radiant and sophisticated top notes, Izia seduces with its airy, floral heart and the warmth of a woody base softened with musks. 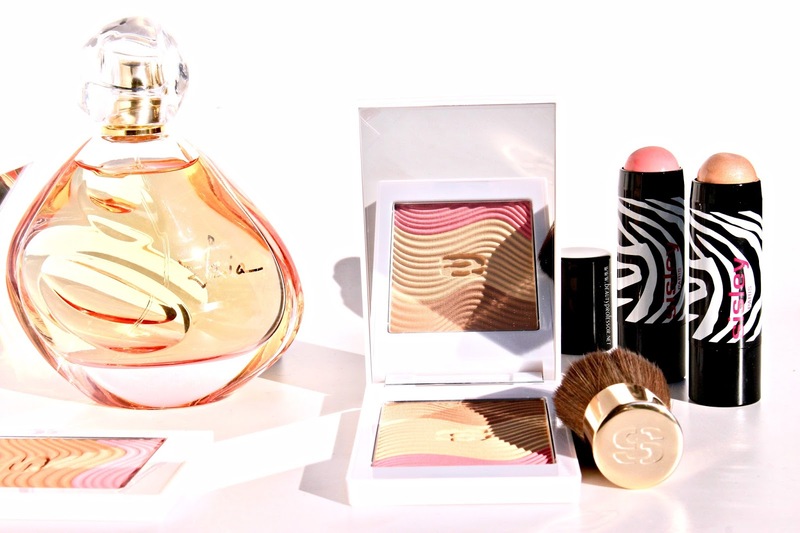 *Sisley-Paris Phyto-Touche Sun Glow Powder. 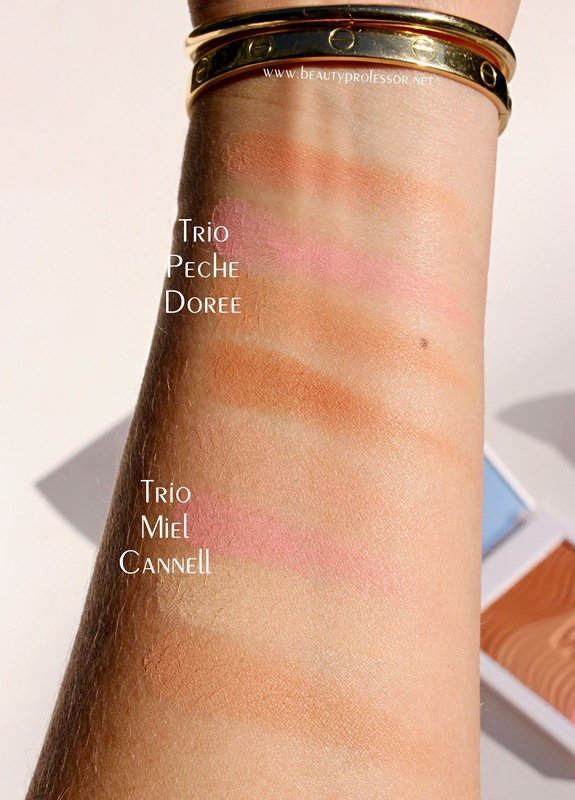 Embodying the ability to bronze, blush and perfect in a single compact, the stunning*Sisley-Paris Phyto-Touche Sun Glow Trio (also available at Bloomingdales and Neiman Marcus with application demonstrated HERE) comes in two complexion-flattering shades: Peche Doree and Miel Cannell. The finely-milled powder boasts a visually breathtaking melange of waves that collectively work together to sculpt and flush skin, for a sun-blessed look in seconds. Both shade options feel silky to the touch and blend like a dream, brightening one's visage without the slightest hint of shimmer; the tender glow applies sheerly but can be built to medium opacity while maintaining an entirely natural look. 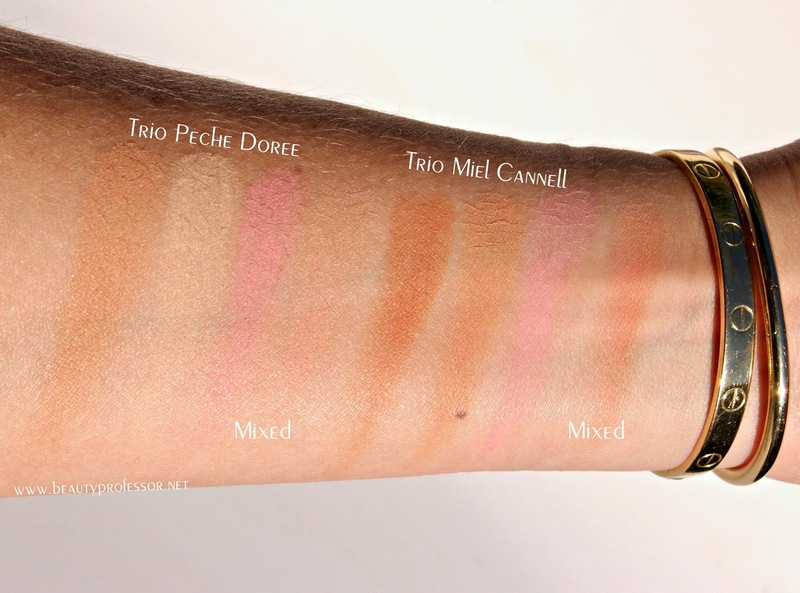 I have been wearing a lot of the Peche Doree--which works well with fair to medium skin tones--but know I'll be embracing the deeper Miel Cannell the instant my skin picks up a bit of a tan. Effortless and endlessly flattering, the compact even come with a luxuriously soft Kabuki brush...one sweep of the powder across your cheeks and your complexion will be thanking you! 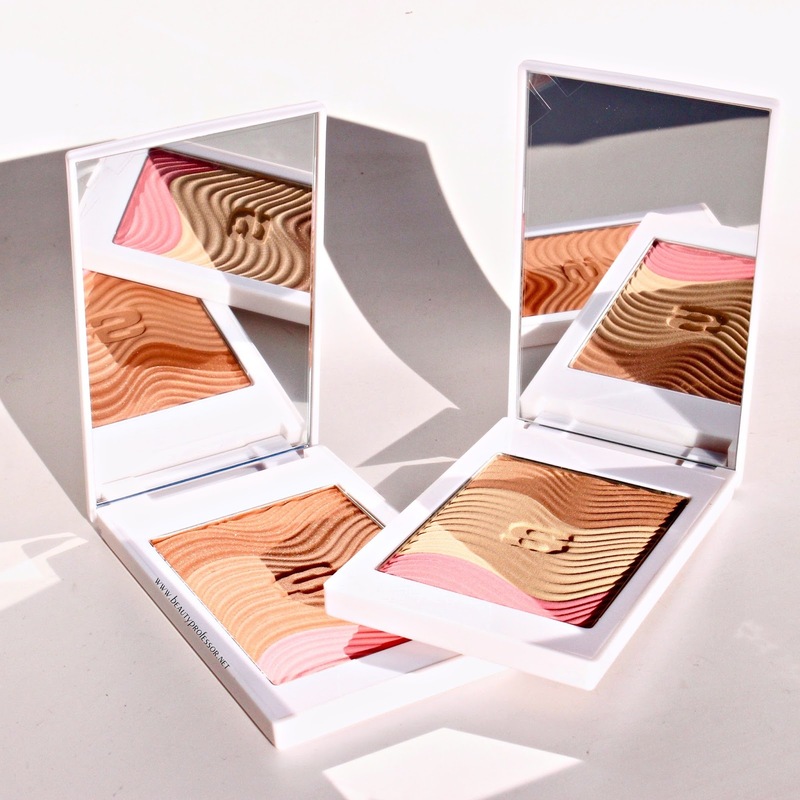 Phyto-Touche Sun Glow Powder is a creamy powder that provides a unique sensory experience to create a customizable sun-kissed look. Its "wave" design comprises two golden beige shades for customizing the sun-effect and a blush shade to add freshness and brightness. Its imperceptible texture melts onto the skin like a cream for a smoothing, perfectly even result, with no powdery effect. The skin is instantly more beautiful. Phyto-Touche blends perfectly with the skin and stays in place for flawless, natural and long-lasting make-up. Its indulgent, non-comedogenic formula, enriched with Camellia oil and Shea oil, protects the skin over time and with repeated usage. 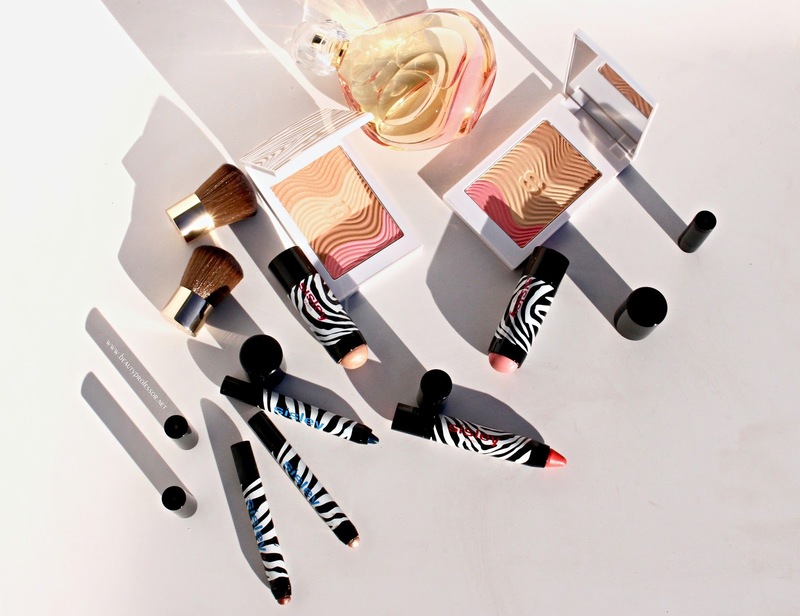 The golden zebra-print compact comes with a mini kabuki brush: an elegant make-up accessory- perfect for on-the-go application. 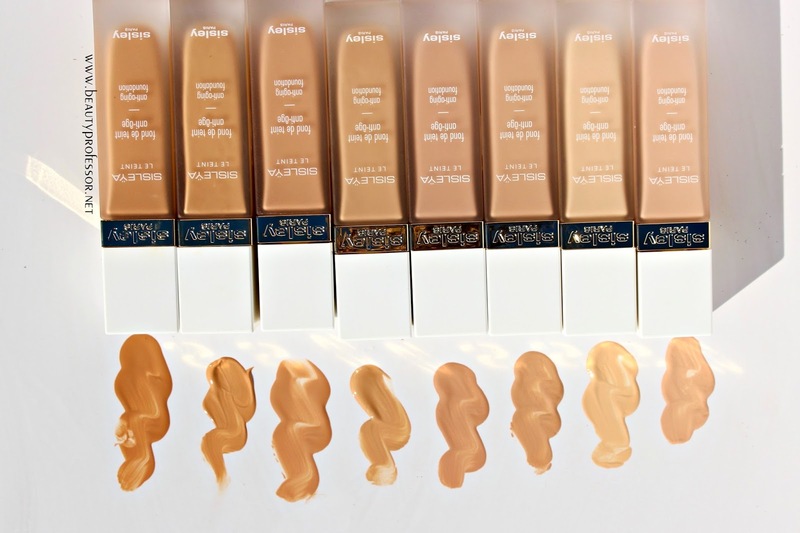 Suitable for all skin types and complexions. The ultra-soft Kabuki brush makes application on the go a breeze. A mix of *Sisley-Paris Phyto-Eye Twist in Copper and Pearl on my eyes (also available at Beautylish and Neiman Marcus and reviewed HERE and HERE) blended to the brow bone. 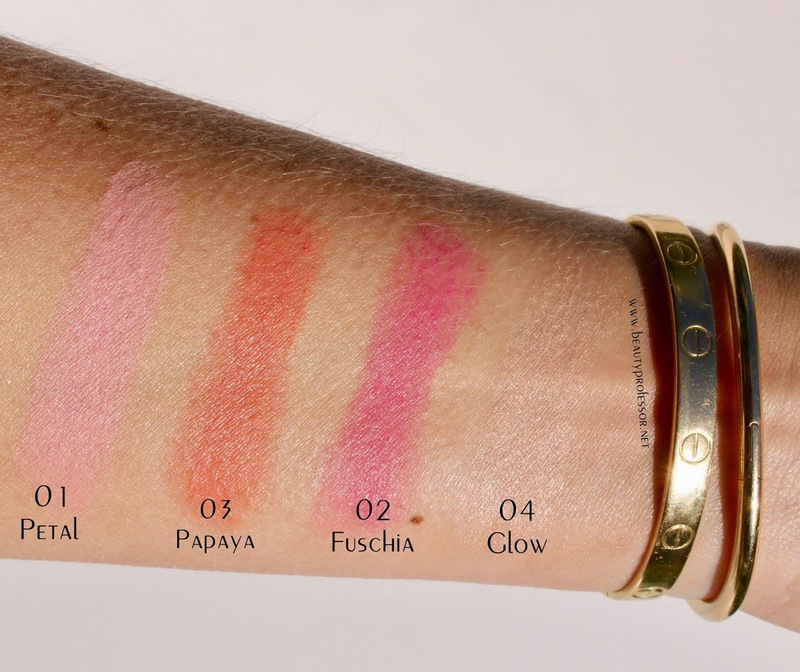 Le Teint swatches in direct sunlight. 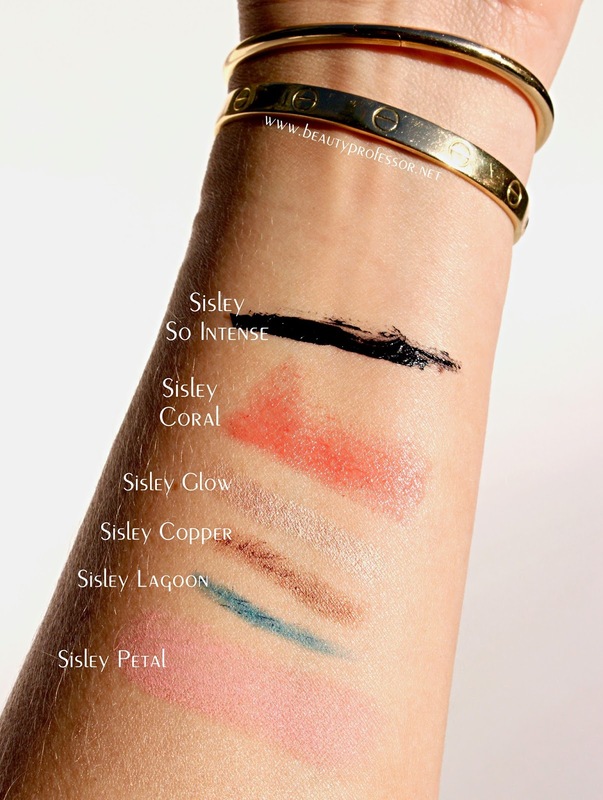 Bottom Line: I hope you enjoyed the interview with the lovely Anne Chamoyan as well as the swatch-heavy details on the Sisley-Paris new releases! I adore the fresh launches and am confident that I'll be reaching for them frequently in the warmer months to come. Good things ahead, including a lip color feature and a host of new product procurements!